A timeless game, but all too often played these days on handhelds and mobiles. But it doesn’t need to be. 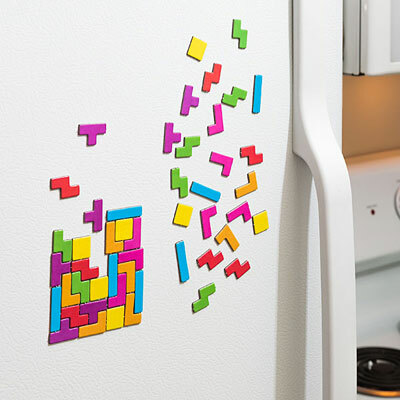 You can now play Tetris in your kitchen with this Tetris fridge magnet set. Hours, possibly days and weeks of fun here, with the set including 49 (officially licensed) Tetris-shaped magnets, which you can play with and combine in as many variations and patterns as you see fit. It also adds a bit of colour to your kitchen as well as entertaining the kids too. Want a set? $5.99 online gets you one.